We have discussed the enforcement of torture laws many times here on Prof. Turley’s blog and the policy of the Obama Administration to “look forward” and not go after the Bush Administration for its admitted torture of detainees. With that in mind, it was interesting to read this week that 4 victims of torture under the hands of the Bush Administration have turned to the United Nations Committee against Torture in a last effort to get justice. “Hassan bin Attash, Sami el-Hajj, Muhammed Khan Tumani and Murat Kurnaz—they are all survivors of the systematic torture program the Bush administration authorized and carried out in locations including Afghanistan, Iraq, Guantánamo, and numerous prisons and CIA “black sites” around the world. Between them, they have been beaten, hung from walls or ceilings, deprived of sleep, food and water, and subjected to freezing temperatures and other forms of torture and abuse while held in U.S. custody. None was charged with a crime, two were detained while still minors, and one of them remains at Guantánamo. The complaint was brought to the United Nations in response to the Canadian government’s refusal to arrest former President George W. Bush last year when he visited British Columbia. The idea that victims of CIA and United States Military torture techniques that are illegal in the United States have to resort to filing a complaint with the United Nations is sad. Our Judiciary and our Department of Justice have collectively turned a blind eye to the admitted instances of torture, purportedly for the purpose of allegedly protecting national security and avoiding the political fall-out an investigation would bring. “The country in question is Canada, visited last year by former U.S. President George W. Bush during a paid speaking engagement in Surrey, British Columbia. Bush’s visit drew hundreds in protest, calling for his arrest, and it also provided bin Attash, el-Hajj, Tumani and Kurnaz the opportunity to call on the Canadian government to uphold its legal obligation under the U.N. Convention against Torture, and conduct a criminal investigation against Bush while he was on Canadian soil. The Truthout article is a fervent plea and demand that the United Nations should enforce its own laws and call upon all countries to enforce the U.N. Convention against Torture. The United Nations has a unique ability to pressure its signing members to enforce the laws that the signers of the anti-torture measures have agreed to follow and enforce. When an individual country, for whatever reason, is unable to or unwilling to investigate and prosecute violations of the torture restrictions, the United Nations can assist in obtaining justice for the victims by reminding other member countries that if any individual who has admitted to torture, they have a duty to prosecute those individuals when they enter their respective countries. What do you think will happen to the complaint filed by the four victims with the United Nations? Can the United Nations preserve its honor if it doesn’t follow-up on this complaint and urge any signing country to enforce it? I truly don’t know what the United Nations can do if the individual countries refuse to honor their agreements. This horrific history of torture could be corrected after the fact if the United States Department of Justice would do their job and if President Obama would just get out-of-the-way and allow the AG to investigate any and all instances of torture that have not escaped via the statute of limitations. If we cannot or will not investigate any and all alleged law breakers because of their place in the government or because of their political persuasion, why do we have laws outlawing torture at all? What will stop current and future bad actors from engaging in torture if the former President and Vice President of the United State allowed it and encouraged it and stand impervious to prosecution? How do we prevent a political civil war if any administration tries to enforce the law against torture against its predecessors? The rule of law stands tarnished, if not damaged, by the Obama Administration’s refusal to enforce the laws against torture. 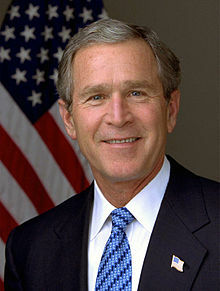 Will President Obama’s stance on enforcing the illegal torture program “evolve” now that he has survived the reelection? What do you think? I just got off the train from Remulak. Who is the guy in the photo with the big smile? Does he have something to do with the Scientology group which is referred to in another aricle above? And what is up with the couple in the two bathtubs in the back yard in that Viagra commercial that is shown on tv here? Is that how humanoids procreate? They got Pinochet ‘ere the end, and Milosevic died in prison. Are you aware of the torture suits against Bush and Rumsfeld by Amerikan soldiers who reported on gun running by the amerikan government in iraq? The Bivens suit against Rumsfeld(and Bush) in the Case of VANCE V. RUMSFELD…as one of the foremost constitutional lawyers in this country…..what is your analysis of a Bivens case that would be filed against top officials????? You’ve seen the “Boys in Brazil” film? Obama is one of them. The successful one. The question remains, is he a Manchurian Candidate or just a figurehead with mormal psyche? (b) We simply give up “civilization” and return to maternalist society forms. I agree with your frustration. When Bush attacked Iraq, they dd so under the infamous AUMF, so Congress was also duped. But making a decision to go to war on bogus intelligence does not make torture any less onerous. This is the stuff degenerating empires are made of. Generally the momemtum is too strong to overcome, so it is not likely that a return to America from the depths of Amurka is likely. We may have reached the peak of recovery by mere verbal denouncement of torture. I understand the focus on bush and Cheney. The topic is torture. The current administration has assassinated an individual in a sovereign nation, orchestrated the killing of an American abroad, and continued drone attacks that claim human lives as collateral damage. How is he not held to the same standard? Where are the human rights groups? Btw, in confirmation hearings Eric holder refused to state that the administration would not resort to torture if warranted by circumstance. Here’s a slightly different take on things. How can it be then that when two heads of state decide to attack the other they initiate events that lead to 100,000 dead and three times that wounded and this gets less attention? The focus becomes whether a waterboarding constitutes torture. But, “laws of war”, if their really is such a concept, says that it is ok to drop a B-52’s worth of 200 lb JDAMs on a column of people who are wearing a uniform of the other guy’s army. I would say the waterboarding is “torture” but being burned to death from an airstrike is “legal”? How is the latter not torture? Thus is the insantity of war. I still believe in fighting for our freedom if tyrants want to take away our liberty, but there should hopefully be a time where ordinary people, when they see that some old men in high places want to attack each other using 18 year olds as expendable pawns, these ordinary people tell them where to go and both sides refuse to take up arms. the courts confirmed that Gitmo is US soil and under our laws. I have been asking what laws apply on all US military bases around the world, and whatever laws apply to them, also must apply to Gitmo. It was always my understanding in years past that US laws apply on military bases around the world. I have been horrified by the unconstitutional, illegal, unethical, immoral, dishonorable wars in Afghanistan and Iraq [AUMF to give a president some authority to order the military around does not constitute a congressional declaration of war under the terms of the US Constitution], and when I heard about torture and the Bushista regime’s orders to do torture based on twisted logic by lawyers (no less! ), I was not only horrified, but embarrassed and ashamed of having to call myself an American. Adding insult to injury were the Patriot Act, MCA ’06, FISA fiasco ’08, the ‘office of faith-based initiatives’ run out of the White house, all of which Congress and Obama extended, and Obama and Congress added MCA ’09, and adding more war crimes (IMHO), gave the orders for drone bombing in countries where we have no business being, and that started less than a week after Obama took the oath of office. I didn’t support any of the “frontrunner” candidates for the ’08 election cycle because none, including Obama, favored either impeachment or investigation into the lies and war crimes as early as July ’07. Impeachment and war crimes trials were most on my mind at the time, and I was determined to support the Democratic candidate who would speak out in favor of either. I’ve been depressed about the lack of upholding laws and treaties since Dumbya was given his office by SCOTUS in December 2000. Obama has acted more like a Republican than a Democrat for four+ years. He’s gone after whistleblowers like they’re criminals, not people who have done us a favor with news of wrongdoing. That’s totally unethical. I’ve always hoped someone from a foreign country would hold Bush, Cheney, and their lying war criminal cohorts accountable, or do something sensible like kick the US out of the UN or censure the US in meaningful ways to force the hands of our elected “leaders.” It’s patently obvious that our elected politicians are cowards through and through and will never do so…, perhaps because they allowed the childish spoiled brat to have his way and gave him the money and the unconstitutional “laws” to let him carry out these horrors without reining him in…, and that makes them culpable as lying war criminals so they can also be held accountable…, as well as the US military. “I was only following orders” is not, as the Judgment of Nuremberg concluded, a just defense for committing war crimes. I’m still ashamed and embarrassed to call my self an American because our politicians have allowed the lying war criminals to walk free as though they have done nothing wrong.